In a large mixing bowl, combine flour, sugar and baking powder. Cut in the butter until mixture resembles small peas. Stir in the milk and egg until the dough comes together. Divide dough into two pieces, wrap and refrigerate for about 2 hours or until easy to handle. In a food processor, grind the figs, raisins and almonds into a thick paste. Transfer to a bowl and add the marmalade, cinnamon and pepper. Set aside. On a lightly floured surface, roll each piece of the dough into a 12 inch square. Spread half the filling evenly over the surface of the dough then roll the dough up forming a log. Cut twelve 1-inch slices. Place the slices seam side down, on a parchment lined baking sheet. Repeat with the second piece of dough. In a small bowl combine the confectioners sugar and juice until smooth; add the fiori di Sicilia and mix until a glaze is formed that flows off a spoon but is not too thin. While the cuccidatu are still warm, dip the tops of each in the glaze, allowing the excess to drip off. Place on cooling racks and sprinkle with colored sprinkles. Allow to dry completely. Cuccidatu can be frozen in layers between wax paper for up to 3 months. This recipe is featured on show 2218 – Cooking School for Everyone / La Scuola di Cucina Per Tutti. This recipe is featured on Season 22 - Episode 2218. I am addicted to cuccidati! It's probably a good thing that we only have these at the holiday season or special occasions. Great memories of watching my mother who is not of Sicilian or Italian decent making these with my grandmother and my great aunts! We love making these for Christmas! I seem to remember a different episode which talked about how to make them ahead. Can I make them all up and roll the log, then place the log in the freezer? Or maybe just the dough and freeze that? Thank you! 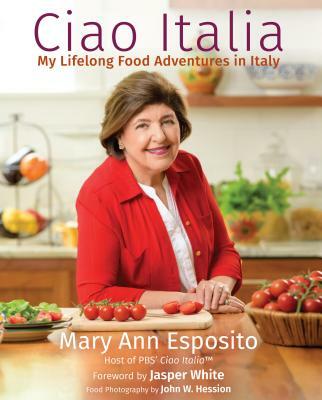 These recipes are fantastic and so very authentic - like my Nonna Nella used to make from Barga, Province di Lucca, Italia! Brava! - please continue to bring these treasured and time-honored classic recipes to new generations.